“Musica Che Resta” how could they possibly loose! When I read the lyrics,I thought this song was made for them to sing. Can I tell you I’m agitated, Jill? i know…. and so i say a prayer for you tonight before i go to bed and a prayer for our boys in the contest tonight. 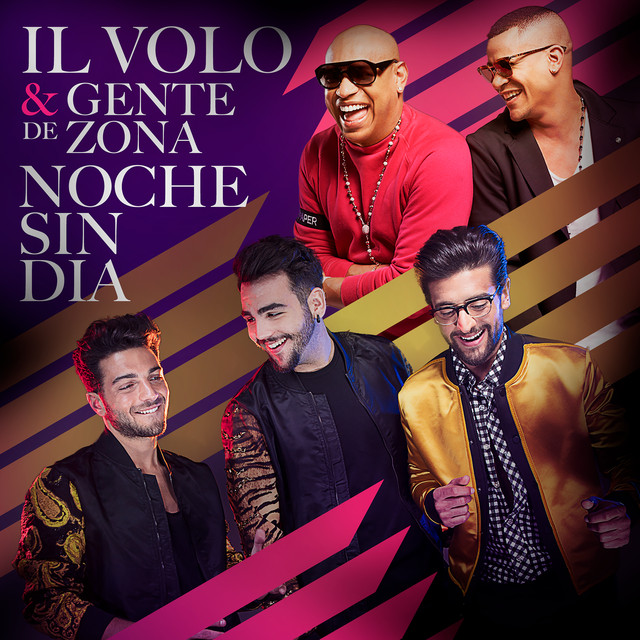 The words are beautiful—looking forward to hearing the melody and IL VOLO’s powerful voices. Crystaldawn, who do you say it to. They will be the eleventh in the race. Thanks Joanie, I am very happy that you will be able to follow the live TV. The lyrics are certainly beautiful and a winner in my book! Dying to hear them in their own voices. Thanks Mark, they just said on TV that IL VOLO is in third place of the preferences but that yesterday during the singing rehearsals, they got the longest applause. What does Rai 1-31 mean? I can’t find a 31! Only Rai 1. Thanks again Daniela. I am so excited for the boys. I listened to the two young men that are supposed to be #1 and #2 to win. They are young and probably appeal to the younger generation but as far as talent and voices IL VOLO beats all of them. But like Eurovision critics are a major part in their winning. I agree with you Gina. May I please request this favor: when talking about the person that writes the music (translated from Italian, or any language for that matter, the English word for the person that writes the music is NOT AUTHOR. Perhaps when you translate direct from Italian to English you may end up with that. However, the person that writes the music is the COMPOSER. the person that writes the words for that song is the the lyricist. The words are the lyrics. An author is the person that writes a book or an article such as I am the author of this comment. Perfect Myron, thanks for the observation. In Italy the author, in fact, is the one who writes a book, but it can also be a song. But surely it is more correct composer and lyricist for those who write the text. Here they are:: Musica Che Resta. So what did you think of it? I like it better on the blog than on the TV–I thought the music was too loud and you couldn’t hear their voices very well. Somehow here their voices come through better. I have to agree with you that the music was loud and did drown out Gianluca& Ignazio’s voices in the beginning. However, they did get a good response from the audience. Let ‘s hope for the best!! I am wondering when they have their guest whether he alone will play and not the orchestra. I hope that is the case–then we will be able to really hear them! In fact, Penina there was something that did not work in the audio. It felt muffled, all the first songs. After the advertising it is a little improved. In fact I was committed to vote and I could not listen well and not even see them, I’m appreciating more now, with headphones you feel great ……. and I like it. I just saw it also!! Tuned in to Rai 1 and couldn’t believe my luck when I heard the next contestant is Il Volo! Bravo to our guys! I’m glad you could see them Annette. Oh, thank you Daniela for the video. A beautiful rendition and anyone would have to recognize it as IL Volo just to hear it, even if you couldn’t see them actually performing it. I’d vote for it in a heartbeat as many times as they would let me! Yes Mark, I think the guys were very excited, and the audio on TV was not very good, but I can assure you that they received a long applause. I love the song and our guys sang it so beautifully and with such power, true to their unique style. Ineke, more I listen to it, more I like it. This is the RAI video, the other has blocked it. I love them too, Jill. Well done guys!! The explosion of Igna’s voice on his second entrance gave me goose bumps. Beautiful song, just right for them. Thanks Daniela for the video. Yes Janet, really an explosion. the best rendition I have heard tonight was on YouTube. Like night and day between the other medias. You could hear the beautiful harmony and gorgeous individual voices much better. Beautiful job by Il Volo once again. After hearing some of the other contestants, I do not feel that they have a lot of competition. Yes, Susan, there was some audio problem, but when you listen on you tube and maybe with headphones, it’s very beautiful. Yes I agree. I have listened to several of the other performers, and there is no comparison as to how vocally trained Il Volo is compared to the others. They are in a category of their own. I just don’t see what people see in Nek and the others vocally. After all this is a vocal competition is it not?? Maybe this new song is not A Grande Amore but to me it’s a beautiful song which for the most part was performed beautifully, most noted on the YouTube performance. Just checked the odds again. Ultimo is stil first, followed by irama, then the guys. However the percentages have gone down, and nek, as I predict, has moved up. 20, 18, and 10 now for the guys. Nek is now in 4th. I predict another race between nek and il volo. I thought irama was awful. But ultimo was ok. Of course our guys were the best. The crowd clearly loves the guys. I think baglioni even likes them. He was trying hard to hide his pleasure of his smile when they were done. I thought most of them were awful. Some like Ultimo had enthusiasm, but that is not substitute for a VOICE! I had a headache after sitting thru the show. The boys where the best and the audience showed their approval. I have a feeling the critics will find fault with Il Volo. I read someplace that the critics already are tearing the song apart. 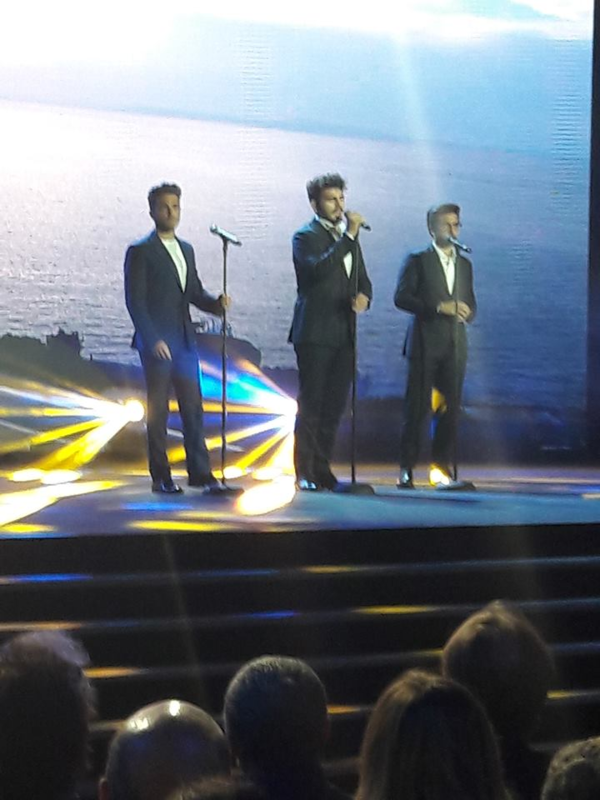 I believe Il Volo is giving the Sanremo event a boost. Do not worry, Gina, critics will always find something to say. We hope they do not penalize them too much. Am huge fan of Il Volo…two concerts in Canada and had to fly to both of them. The critics will look for anything about them for sure…I was a tad disappointed with the song …certainly no Grande Amore, and I felt that the guys were a little uneven in their presentation…or maybe I just didn’t understand it well enough yet. Or perhaps I still haven’t recovered from Notte Magica….they spoiled me! Katy, believe me, Grande Amore hits immediately, but this comes slowly and gets you in the head, it’s less classic than Grande Amore, but maybe it convinces a little more the younger ones. To my great delight I was able to stream both evening shows on my phone. I was disappointed with the sound quality for the first performance as the orchestra I felt was off and their vocals were not showcased well enough. Today was better. I LOVED Piero’s suit on the first night! I have noticed an increased sense of style and fashion since he has been dating Valentina. He has become much more classy— now his clothes match his beautiful voice. Today I was disappointed that the critics moved IL VOLO out of the blue section and into the yellow. AND that the critics placed the older woman who literally screamed into the microphone into the blue section. What are they thinking???? She was horrid, and the audience gave her such applause— I don’t understand. Looking forward to Friday night and the duet.